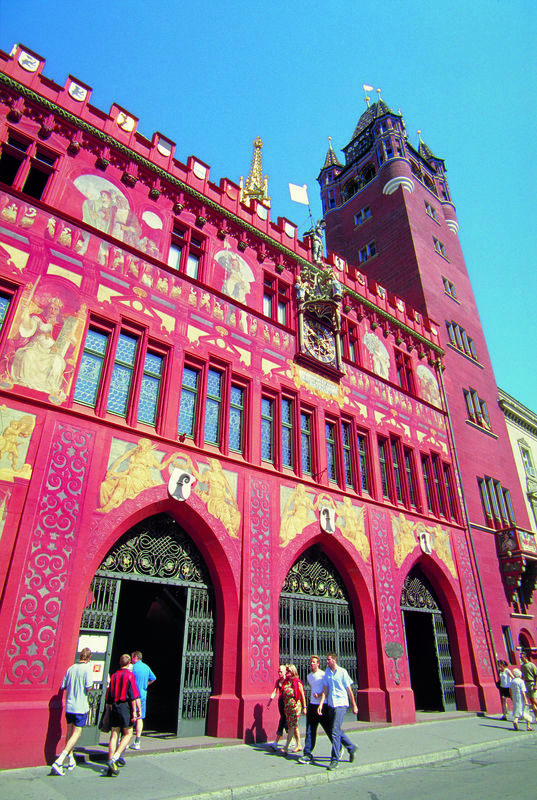 The City Hall is the seat of the Basel government and its parliament. 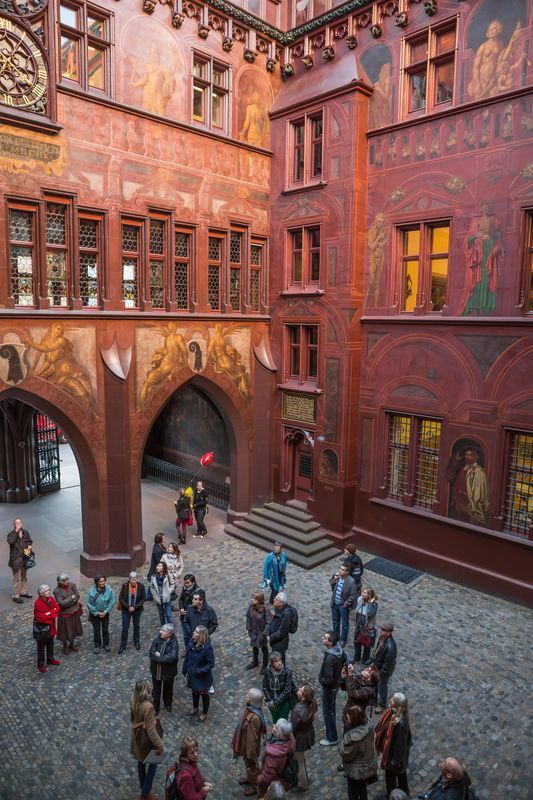 In the midst of the Old Town, it is particularly eye­catching with its red facade, the characteristic tower and playful frescoes. 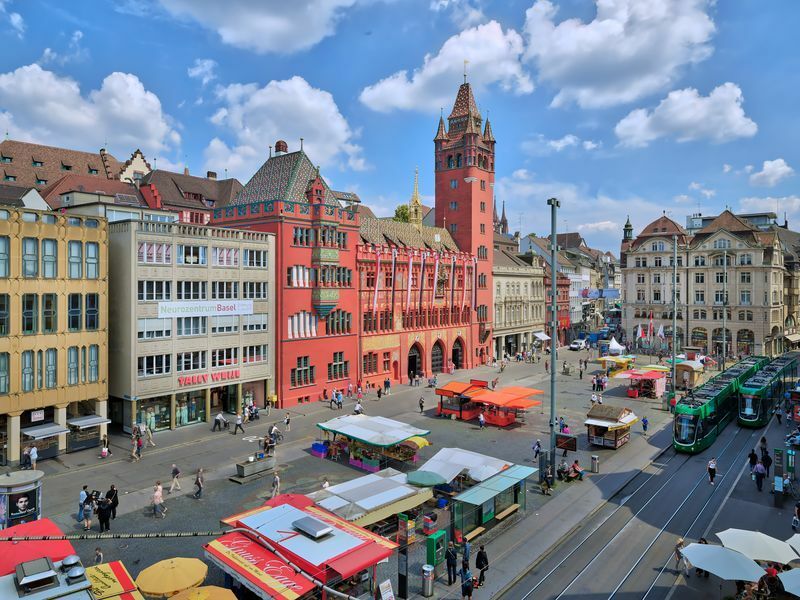 A visit to the Rathaus (city hall) is worthwhile especially on account of the council chamber, the attractive inner courtyard, the romantic arcades and the tower. 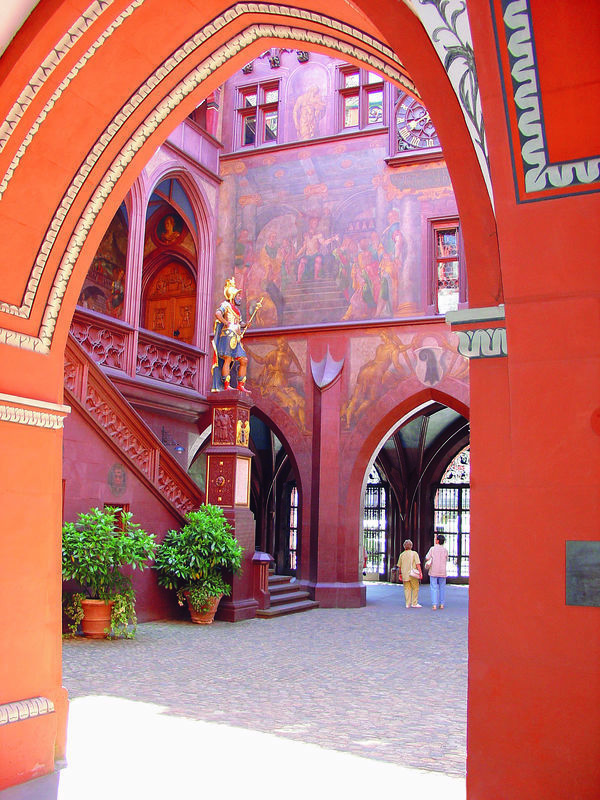 It was built after the great earthquake to replace the former seat of government. 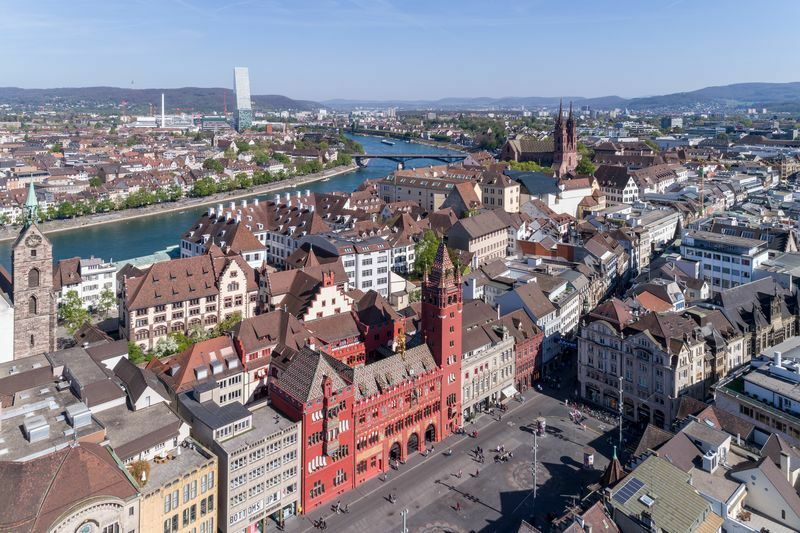 After Basel joined the Swiss Confederation, the front part of the building was replaced with an imposing new structure. 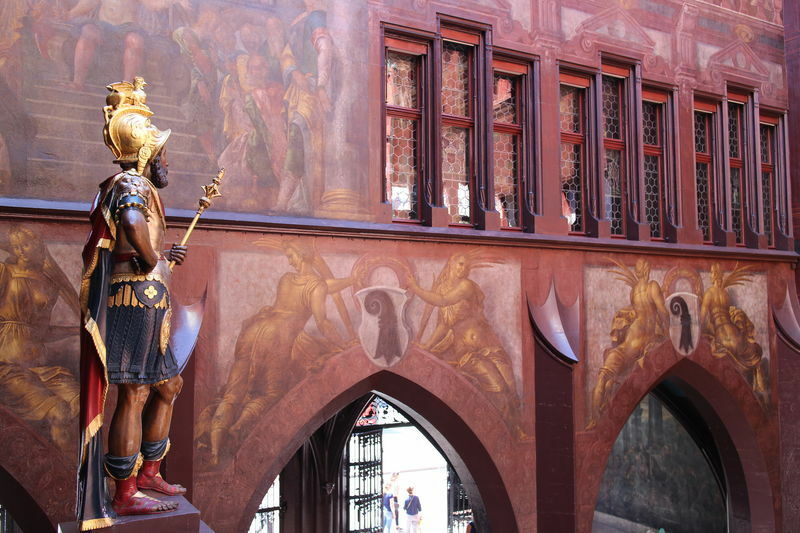 The coats of arms of Basel and the 11 other members of the then Confederation adorn the crenellations. 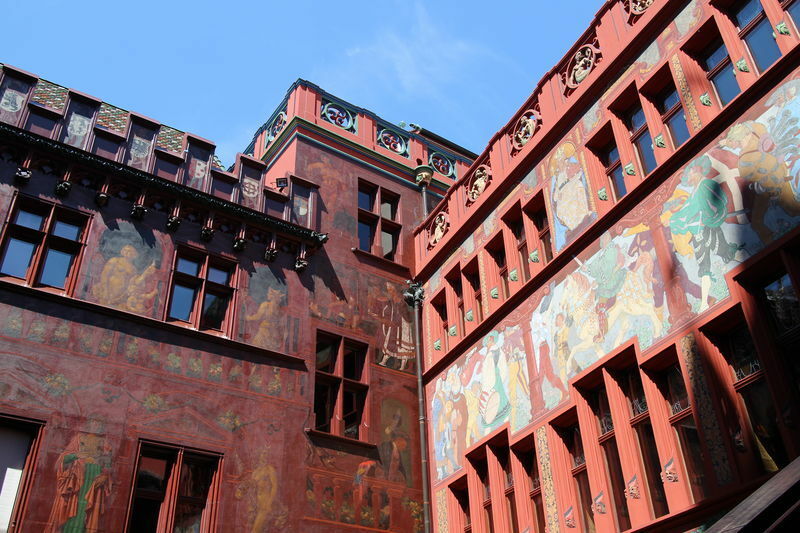 At the beginning of the 17th century, the city hall was extended, and the artist Hans Bock decorated the facade with painted trompe l'oeil. 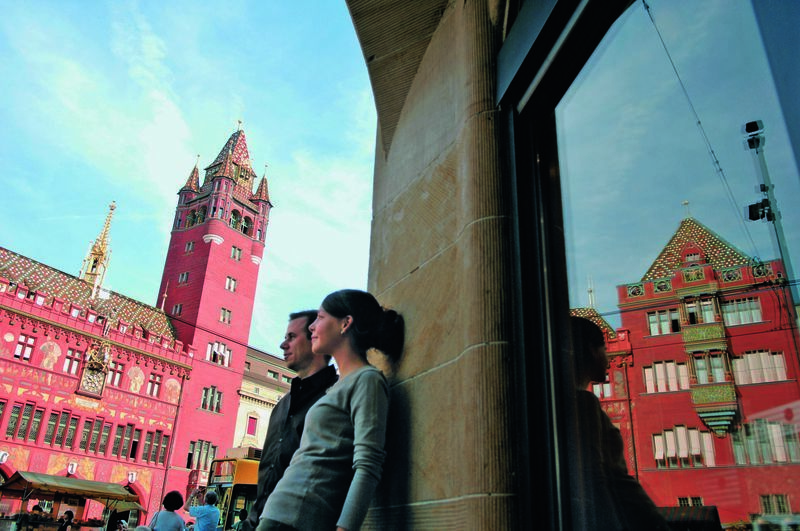 In 1900 the building was extended again to include the left-hand wing and the tower at the right.